What it is : The bestseller that started it all-Bobbi's creamy, semi-matte lipstick was the first formula to launch (and sold out instantly). The secret to its success, Comfortable, full-coverage color instantly gives lips a polished look. Who it's for : The woman who wants a creamy, semi-matte lipstick. Why it's different : The non-drying formula offers full-color coverage and comfortable, long-lasting wear. Explore the entire range of Lipstick available on Nykaa. Shop more Bobbi Brown products here.You can browse through the complete world of Bobbi Brown Lipstick. 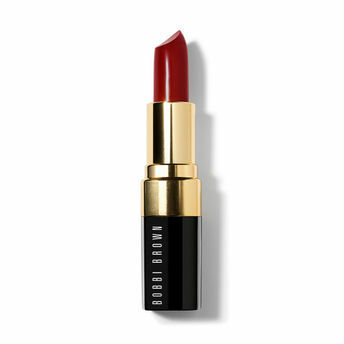 Alternatively, you can also find many more products from the Bobbi Brown Lip Color range. Explore the entire range of Lipstick available on Nykaa. Shop more Bobbi Brown products here.You can browse through the complete world of Bobbi Brown Lipstick .Alternatively, you can also find many more products from the Bobbi Brown Lip Color range.